PXL THIS 23 celebrates the 50th anniversary of the audio cassette. The PXL-2000 records picture and sound on the audio cassette tape, which was invented for Philips, by Lou Ottens, in 1963. PXL THIS, the second oldest film festival in LA, celebrates visionary moving image artists from seminal experimental filmmakers to 4-years-olds to homeless to Hollywood professionals. PXL THIS is international with short films from France, Canada and across the US. * ME, DIVA & THE FIRM - Joe Nucci presents the final episode in his seven part series "Joe, the Limo Driver" recalling memories with Sigourney Weaver and Johnny Deep. Nucci has been a PXL THIS audience favorite since 2007. * Gerry Fialka's CAST OFF YOUR METAPHYSICAL SHARK CAGES (One and Two) reimages Jean Renoir as a Leprechaun/Lupercalian social engineer/singing preacher. This mug's seismic rumbles merge abstract and linear meta-cognition via chance operations as adult swims. Bruce Atchison's DEPARTURES LEAP DAY NIGHT LIVE CONCERT, FEBRUARY 1988. - This is a 42 minute documentary showing a unique event. Electronic musicians and avant-garde performers teamed up to play a live Leap Day Night concert which was aired from the studios of CJSR FM88 in Edmonton, Alberta, Canada. The video shows the set-up preparations and the behind-the-scenes activities of the performers. One viewer of this documentary remarked on the immediacy of the video. Certainly this is a demonstration of the "home tapers" community's creativity. Atchison's ARORA NET - This 3 minute tune and video were named after an on-air weekday meeting of amateur radio operators across Canada. The video shows Bruce Atchison's radio equipment and log book. He composed the music in 1988 using various synthesizers and keyboards. 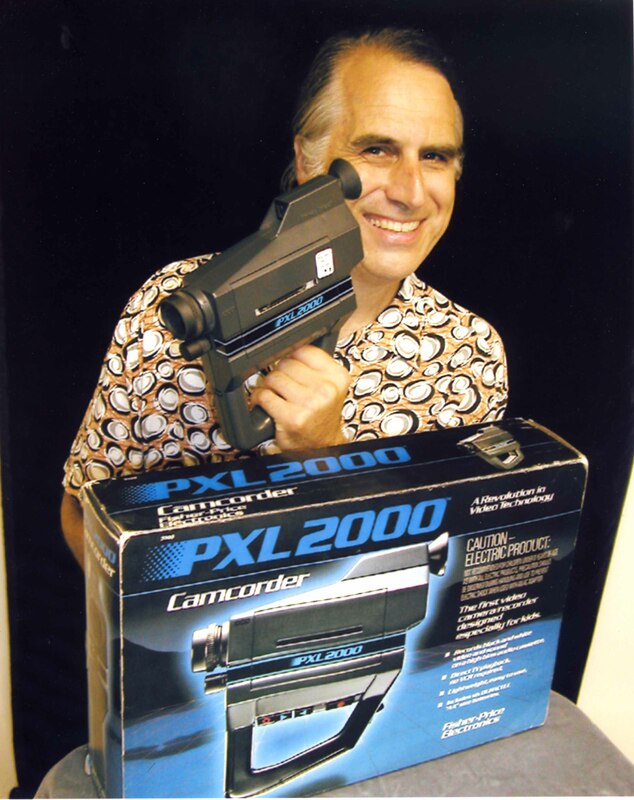 Two years later, he made the video for it with his PXL2000. Atchison's THAT FEELING YOU GET WHEN YOU STAND IN A FOREST AND FEEL TIME - Bruce Atchison composed the music for this 5 minute video in October of 1986 using only guitars, shredded paper, and a cheap keyboard. Two years later, He made the video for this tune with his PXL2000 at a local ravine park in Edmonton, Alberta, Canada. The narration on the tune is also by Bruce Atchison. author of How I Was Razed: A Journey from Cultism to Christianity. * Paul Orso's OPENING SPONTO phones in a loving tribute to Venice gallerist and community stalwart Sponto. * Shirley Vernales's SPONTO LIVES celebrates the cool congos and spontofication rituals of a revered Venice voice (courtesy of Stuart Fordyce, who also supplies music). This Cinderella of Cinema's first film ever put the big squeeze on fish eating dinosaurs and sensual spontonium. * Former Second City Music Director, comedian and co-creator and co-producer of TopTune, The Songwriters Game, Jonathan Menchin's MAKE NOISE embraces his inner child to jubilate caterwauling. * Artist Ralph Loynachan contributes four short collage poems that juxtapose dynamic tension and parallel universes: STUDYB, SWELL JAM SESSION, TEAR TOUGH VEER and SWEET ODA. * Wrasslin' Poodles' KEEP YA blasts beefy brews of avant Delta blues and deep see driving swamp muck. Denny Moynahan's KING KUKULELE'S KUESTION explores the double-sides of performer's personalities in a special LIVE CINEMA presentation. Moynahan celebrates his 15th year in a row in PXL THIS. His innovative approach recalls Windsor McCay, Buster Keaton & Pat Oleszko. * Rex Butters & Paulie Dee's YOU'VE FORGOTTEN HOW TO SCREAM - sometimes you simply need to shout. * Acclaimed musician Tad Dery's BASS FACE involves a funky talking instrument. * Sunny War's FEEL FREE TO CRY shows why she is known as the Robert Johnson of Venice Beach. * Nick Newlin's DESIREE juggles love and music with witty accordion melodies. * Julien Mangogna's CANTO UBERTINO strums the light fantastic. Chris Westhoff's META COGNITION gets funky in the non-physicality of Ohio. Geoff Seelinger, avant-garde innovator, recalls his pet dog in TEDDY. The infamous founder of the very first PXL Festival: tENTATIVELY a cONVENIENCE's PHILOSOPHER'S UNION MEMBER'S MOUTHPIECE brings up Wanda Villa's manifesto. PXL THIS celebrates its 23rd year of creative filmmaking by everyone from kids to professionals. One of the most unique film festivals ever, PXL THIS has been attended by Oliver Stone, Daryl Hannah, Kim Fowley among many more. Pixelvision has even made it onto the big screen via Richard Linklater (Slacker), Michael Almereyda (Nadja, produced by David Lynch) and Craig Baldwin (Sonic Outlaws). 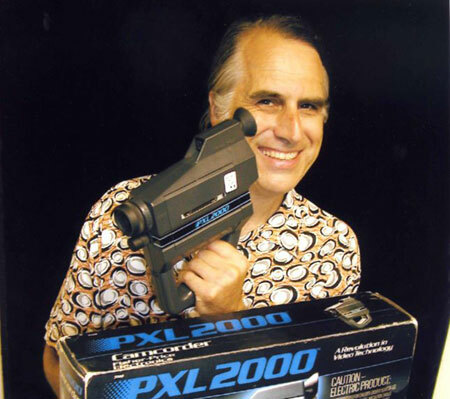 The irresistible irony of the PXL 2000 is that the camera's ease-of-use and affordability, which entirely democratizes movie-making, has inspired the creation of some of the most visionary, avant and luminous film of our time. PXL THIS 24 - Entry deadline Oct 22, 2014 - simply send a dvd to Gerry Fialka 2427 1/2 Glyndon Ave, Venice, CA 90291, 310-306-7330, pfsuzy@aol.com NO entry fee.